A Comcast employee was shot in South Shore in 2014. The cable company canceled 6 appointments Wednesday after learning of the potential for gang violence in the area. AUBURN GRESHAM — Fearing for the safety of its employees, Comcast canceled six appointments on Chicago's South Side Wednesday due to "heightened potential [for] violence" in the area, a company spokesman confirmed Wednesday. A day after holding 9-year-old Tyshawn Lee's funeral, St. Sabina Church needed some help with its Internet connection — and was turned away because of neighborhood violence. "A Supervisor at Comcast just informed us that they couldn't send their technician to repair our internet service today because our area has too much violence.....ARE YOU KIDDING ME?????? Oh Hell No!!!!!!!" 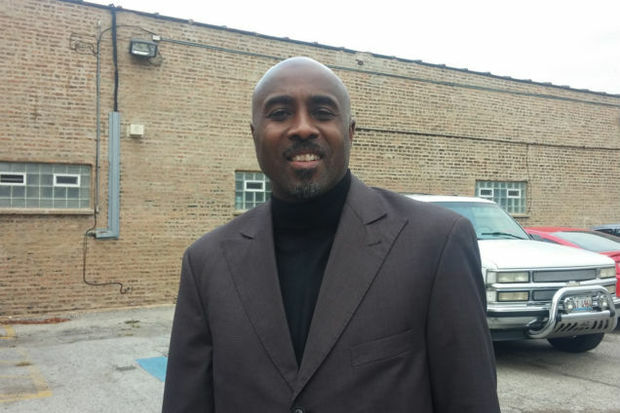 Phillip Hunter, the Director of Community Employment at St. Sabina, reached out to the provider after experiencing internet problems next door to the church. Hunter said a technician was scheduled to come out Wednesday between 3 and 5 p.m., but about five minutes later he got a call back. 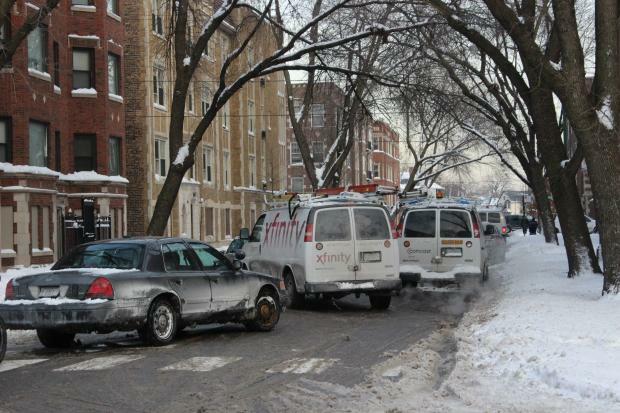 The appointment at St. Sabina's, as well as five others in the area, were canceled after Comcast heard from police that the area could see an uptick in violence, said Jack Segal, Comcast's regional vice president of communications for the Chicago area. "We received police information that there was a heightened potential of violence in the neighborhood," Segal said. "In an effort to ensure the safety and security of our employees, we postponed six appointments in the neighborhood. We reached out proactively to the customers and worked to reschedule them." Segal said Comcast employees would be back in the area on Thursday. The South Side neighborhood near St. Sabina, 1210 W. 78th Place, has made international headlines since police say Tyshawn was lured into an alley near his grandmother's house and executed, possibly due to his father's gang ties. The neighborhood has seen a heavy police presence amid rumors of retaliatory violence in the wake of Tyshawn's killing. Segal said Comcast regularly communicates with police and other officials to ensure its service vans do not get in the way of special events or city work, such as snow plowing. Officer Veejay Zala, a Chicago Police Department spokesman, said sometimes companies reach out to the department looking for crime information about a specific area, but he was unaware of any communication between police and Comcast this week. A Comcast employee was shot in an attempted robbery in South Shore last year. "We serve each and every area of the city each and every day," Segal said. Phillip Hunter, director of community employment at St. Sabina, reached out to the provider after experiencing Internet problems next door to the church. Hunter said a technician was scheduled to come out Wednesday between 3 and 5 p.m., but about five minutes later he got a call back. Comcast said it needed to reschedule "due to safety reasons" for the technicians, Hunter said. When he pressed the company further, he was told "there's a lot of gang activity going on in the area" and said a technician could come between 8 and 10 a.m. Thursday. Hunter, who runs a GED class, said about 10 students were supposed to do classwork Wednesday and couldn't because of the Internet woes. He said he wanted the problems fixed in time for a 5:30 p.m. class Thursday. "I just think it's discrimination. If we don't get a resolution to this situation and some form of apology for what I believe to be profiling" then St. Sabina may switch Internet providers. Another employee of St. Sabina, who declined to be named, said he worked for Comcast in the '80s, and police sometimes accompanied technicians to jobs because they would often get robbed.